Scott, who is global operational excellence director at Diageo, Scotland’s largest whisky producer, is to join the timber firm’s directorial board in addition to her current role. She has held a number of senior leadership positions with the drinks giant across the technical, innovation, packaging operations, human resources and global transformation sectors. Her achievements include leading the Guinness technical function in Ireland, developing and implementing a global supply chain strategy, and heading up significant parts of the Scotland packaging operations. 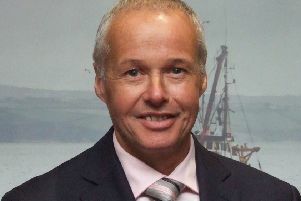 Scott also sits on the board of Edinburgh whisky maker North British Distillery, is a non-executive director at Castle Rock Edinvar housing association and is a trustee for the Big Hearts Community Trust.